I commenced my Apprenticeship with the then Northfield Audi in Tetbury straight from school in 2000. I progressed through the Audi Academy working up through the stages of Service Technician, Diagnostic Technician and Master Technician, finishing as Workshop Manger and Audi R8 specialist for the now Tetbury Audi, leaving in late 2013 to start to my own independent specialist for VAG group customers. During my time with Audi I gained extensive experience of servicing, diagnosing and repairing almost all models across the Volkswagen & Audi (VAG) group range. I have also been trained in specialist courses for Diesel Engines, Petrol Engines, Automatic & Manual Gearbox's, Airbags & Climate Control systems. A full engine rebuild of a V10 Audi RS6. Numerous strip down and repair of Direct Shift Gearbox (DSG) & Constant Velocity Transmission (CVT) Gearbox`s across the VAG range. Automatic Gearbox replacement of an Audi RS6 including required Engine Removal & re-situ. Numerous Audi Air Suspension leak repairs. Identified numerous Electrical Faults including Speed Sensors affecting Automatic transmissions, non-starting vehicles & Haldex Quattro systems. 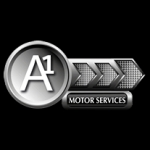 A1 motor services are an independent Audi, Vw, Seat, Skoda specialists offering dealer level servicing at affordable prices. Mot, servicing, diagnostics, and repairs carried out on all makes and models. "I operate a fleet of executive cars, and need prompt trustworthy and reliable service, at sensible costs. Jamie you deliver on all of this thank you."